February 11, is World Day of the Sick, an observation introduced by Pope John Paul II as a way for believers to offer prayers for those suffering from illnesses and to thank the men and women who dedicate their lives to caring for them. This year, the day coincides with the commemoration of Our Lady of Lourdes – the patron saint of sick persons. 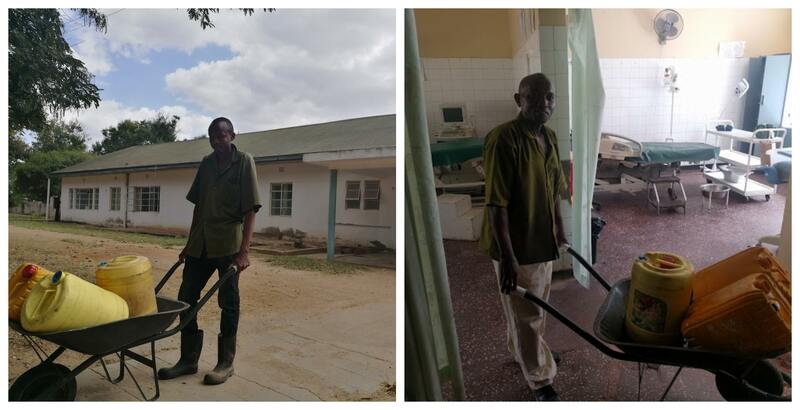 In light of these two observances, we are highlighting our partner mission hospital in Mutomo, Kenya, the people it serves, and the special connection it shares with Our Lady of Lourdes. 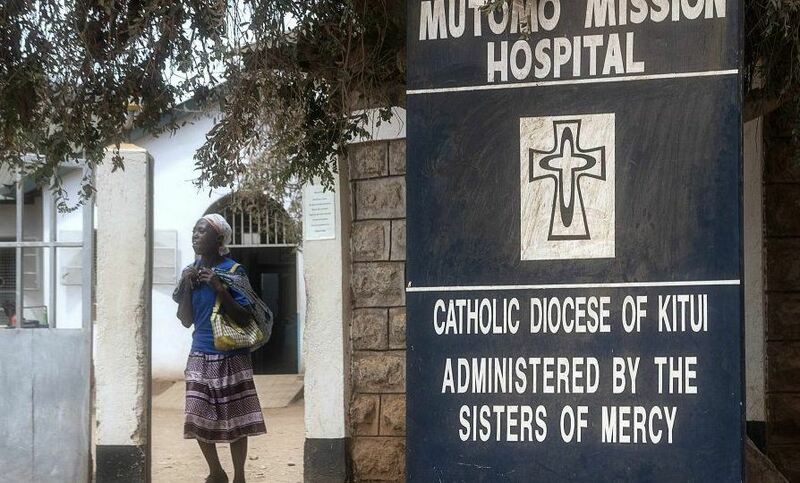 In Mutomo, our partner hospital is named after the patron saint, Our Lady of Lourdes. However, the connection between the hospital and Our Lady of Lourdes goes beyond just a name. Every year, thousands of people from around the world embark on a pilgrimage to the Hollow Rock of Lourdes, in France. It is the site where Our Lady of Lourdes is said to have shown herself, healing those who made the pilgrimage. Today, the shrine erected in its place has become a symbol of healing and hope. Many believe it to be the site of modern day miracles. Like the Hollow Rock, Our Lady of Lourdes Mutomo Mission Hospital is also a place of healing and hope. It is a place of pilgrimage for patients, staff, and volunteers. The patients travel long distances, often weak with illness or carrying their sick, to seek care and hope, sometimes even miracles. The dedicated staff, also often walk long distance, to offer care and compassion to their patients. And finally our volunteers, who travel far from their homes, in the hope of making a positive difference. Volunteers travel from all over the world to serve at the hospital, giving up a portion of their lives to share their skills with the community. They do this out of love. Hospital staff travel long distances to work long hours, ensuring every patient receives the care they deserve. They do this out of love. Mothers travel great distances across difficult terrain to make sure their children receive medical care. They do this out of love. The Mutomo Mission Hospital has a permanent staff of only 55 individuals ranging from lab technicians and nurses, to medical officers. The majority of the staff is composed of nurses, with only three medical officers on staff for the entirety of the main hospital. It is for this reason that the support of volunteers has such a great impact on the quality of care available to patients. However, if we have learned one thing from our volunteers, it is that the impact travels both ways. What better way to highlight this mutual impact than from the voice of our volunteers themselves. Below, you can read reflections from former and current volunteers serving at the Mutomo Mission Hospital. They speak about the many staff members who make care at the Mutomo Mission Hospital possible – the individuals that have helped to make it the beacon of hope it is today. Reflection by Dr. Mary Fleming, an OBGYN who served at the Mutomo Mission Hospital for six months from September 2017 to March 2018. Dr. John Amollo has been here at Our Lady of Lourdes Mission Hospital for nearly 20 years, although his home is in Kisumu, in western Kenya. I venture to guess there are very few people in town who don’t know him or garner the utmost respect for him as a physician. 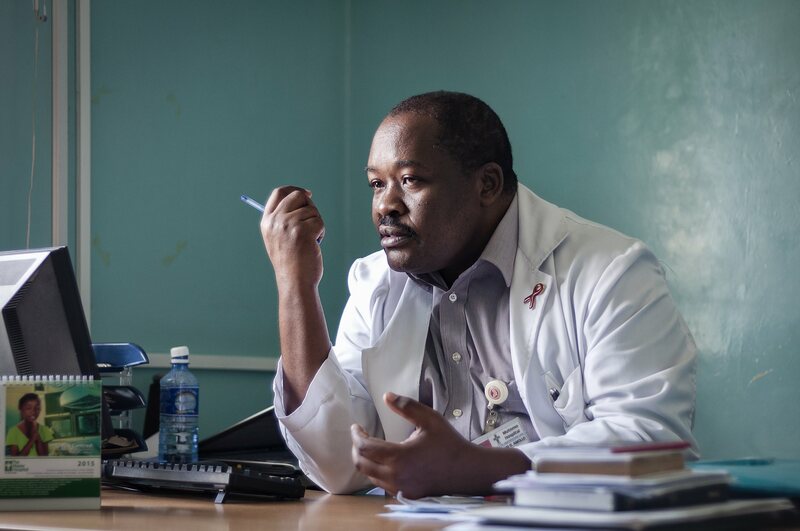 Over the years, with transition of staff, he has been known to be the only medical officer on the premises, holding responsibility for the medical, surgical, pediatric, and maternity wards. On any given week, Dr. Amollo can attend to cesarean sections, set fractures, perform biopsies, hysterectomies, prostatectomies, and pericardiocentesis, and reassure a frail geriatric patient about her shortness of breath. He approaches patients with compassion and respect, understanding both their medical and financial needs when he formulates treatment plans. I can’t say I’ve ever met a more versatile doctor in my life. Though early in her career, she is an astute physician, intent on caring for the whole patient. She led my first orientation of the hospital (yet left me to fend for myself on day two!). Over the past several months, we have seen many patients together, done ultrasounds together, and assisted each other in the operating room. An aspiring OB/GYN, we of course became fast (and I expect) life-long friends. Reflection by Joanna Oleksik, a nurse serving at the Mutomo Mission Hospital since March of 2018. 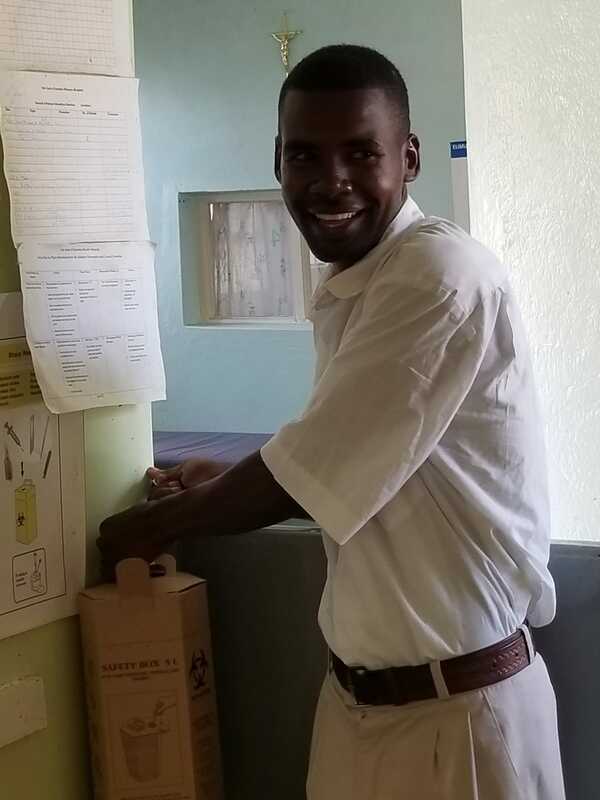 Onesmus Mutinda Kaundu is a ward attendant who has been working at Our Lady of Lourdes Mission Hospital since 2009. A former teacher, mason, and loving father of two, Onesmus has his share of worldly experience to offer. Over the past decade, he has rotated through many roles at the hospital, making him a valuable resource to foreign volunteers. During my time volunteering, I have had the opportunity to work closely with Onesmus. Because I can’t speak Kiswahili fluently, Onesmus accompanies me on my pediatric shifts to help translate. It’s refreshing to work with someone as motivated as Onesmus is. His many years of experience at the hospital and kind personality can be seen through his unwavering dedication to the patients and his willingness to help in tasks that are beyond his role. Whether it is helping with the computer system or questioning drug calculations, Onesmus is always happy to help. When he is not busy with his own duties you can find him chatting with patients, doing his best to get to know them. His smile and distinct laugh can be heard throughout the hospital halls on a daily basis. I am always so impressed with how easily he is able to build connections with patients. Thank you, Onesmus, for all you do for your fellow staff members and the patients we serve. When times are tough around the ward, I find myself grateful for the nurses I work with. Being short-staffed is not unusual at the hospital and it is not always easy to cover the schedule. But, one thing I love about our ward is the nurses. We work well together and we look out for one another. Nurse Winnie Kemboi, is an excellent example of this. Earlier this year she agreed to cover a few shifts for a nurse who needed the time off. 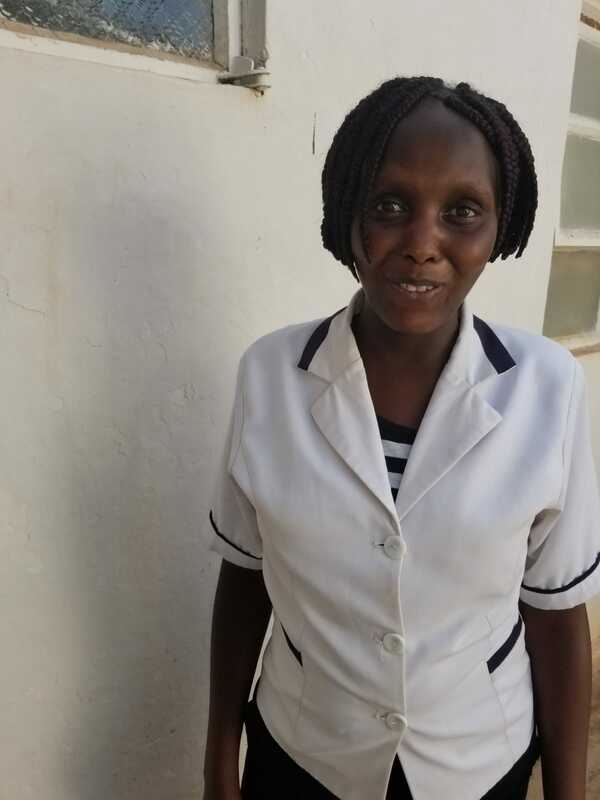 In doing so Winnie spent a stretch of 15 consecutive shifts (days and nights) working in the ward. Then last year when I was sick, Winnie was the first person to ask how I was doing on my first shift back. When I told her I felt worse, she insisted I go home, taking over the shift herself. To be honest, I wasn’t surprised she sent me home. She is caring and looks out for everyone as best she can. The community of nurses at the hospital are good at taking care of each other and paying each other back for good deeds. Winnie is quiet and soft spoken but, in the six months I have worked in Mutomo, her knowledge and skills continue to impress me. She is sharp! And, when it comes to time management, an imperative skill for a nurse, she runs circles around me. You will be surprised to learn that she has only been a nurse for a year and half! Trust me, if you saw her in action you would think she has decades of experience under her sleeve. Winnie is a blessing to the patients and coworkers she cares for, and with. The Mutomo Mission Hospital is fortunate to have such an astute nurse. 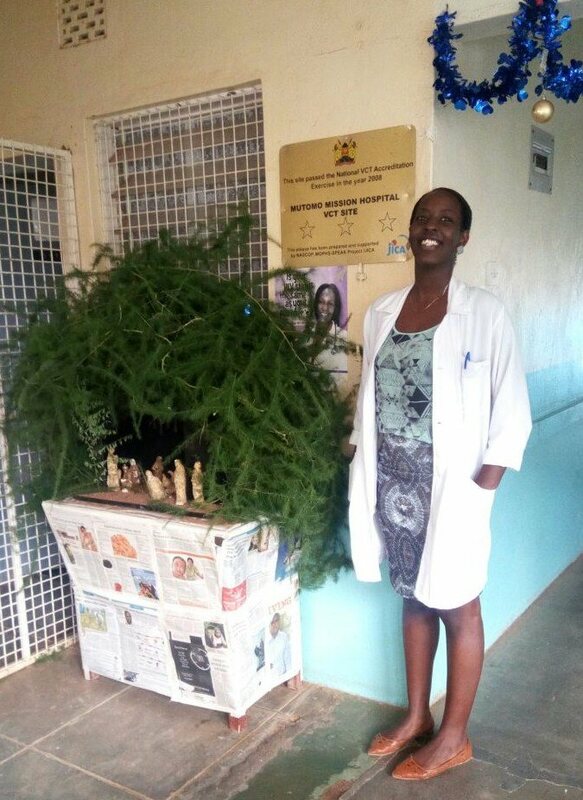 Reflection by Virginia Chapman, a nurse serving at the Mutomo Mission Hospital since September of 2018. Stephen (left) and Sammy (right). There are so many things that we take for granted in the United States. When I first began my position at the hospital, I was surprised to learn that the maternity ward did not have running water. I remember thinking, how do you function without running water? Here come my unsung heroes – Stephen and Sammy. Every day, these two bring the ward wheelbarrows full of water and deliver them to our large water container. From there, the ward attendants, fill containers for everything from washing patients to sanitizing equipment and linens. Though we do not have access to running water, we are never in the position where we have to go without it, it is always there when we need it. As I reflect on how lucky we are to never be without water, I can’t help but think how much work it takes Stephen and Sammy to ensure its constant availability. Where does it come from? How far do they have to wheel it from? It is not uncommon for temperatures to reach 90 degrees here and still, the water is brought and always without a complaint. Like many things in resource-poor environments, there has to be more of an appreciation for what you have and how it manages to appear. Communities in poor and remote settings have to work hard for everything and it should be appreciated. Thank you, Stephen and thank you, Sammy for the critical work you do. Without your support, our work in the Maternity Ward would simply not happen. On behalf of all of us at CMMB we would like to thank the staff and volunteers at Our Lady of Lourdes Mutomo Mission Hospital for the work you do. We are forever grateful for your time, passion, and skills. Generous Lord, with love beyond all telling, Jesus sends us to shower your love on those most in need, particularly in our ministry to the sick. In the spirit of Saint Mother Teresa of Calcutta, inspire us to serve with courage, love and generosity. Give us courage to guard the dignity of those who are abandoned and discarded, especially the dying, unborn, migrant and refugee. Let those among us whose voices are strong raise them in defense of the weak. Give us generosity born from the knowledge that all good things are gifts of your love and, through us, are to be shared with the world. To learn more about our projects and programs in Mutomo, Kenya click here.